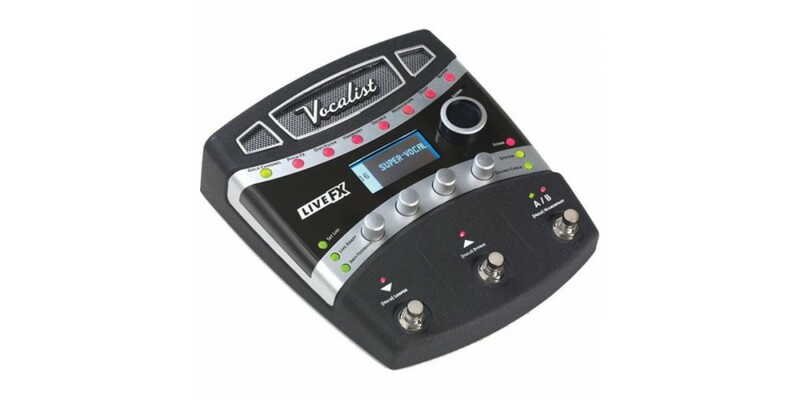 The Vocalist Live FX is Digitech's next generation vocal effect processors, with many studio quality vocal effects and their new Live Adapt listening technology. 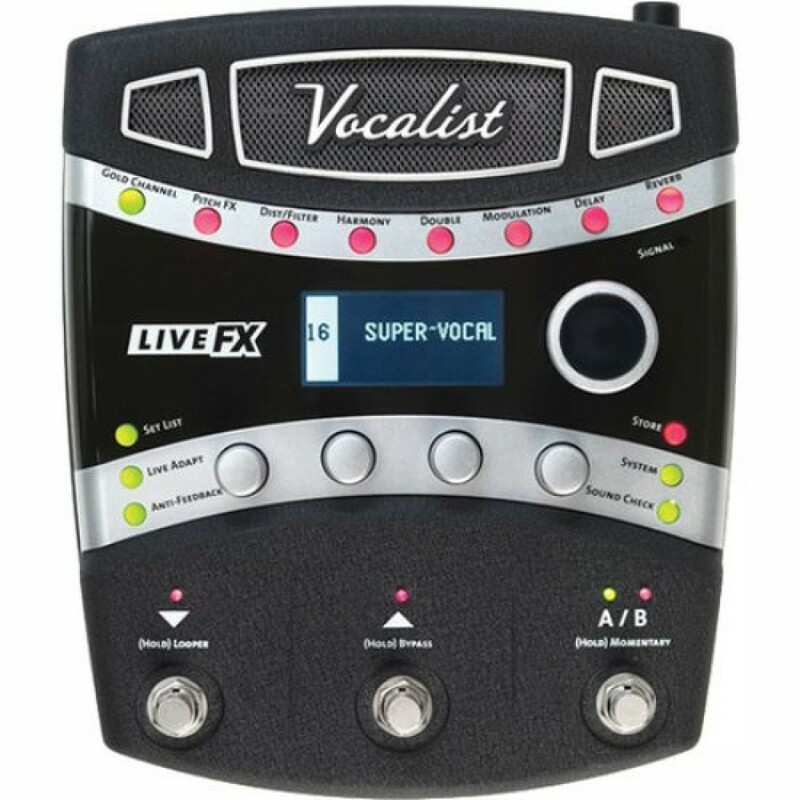 When you're on stage you need that same high performance and the superior audio quality you're used to in the studio, and the new Vocalist Live FX puts that same professional studio grade vocal effect processing at your feet. 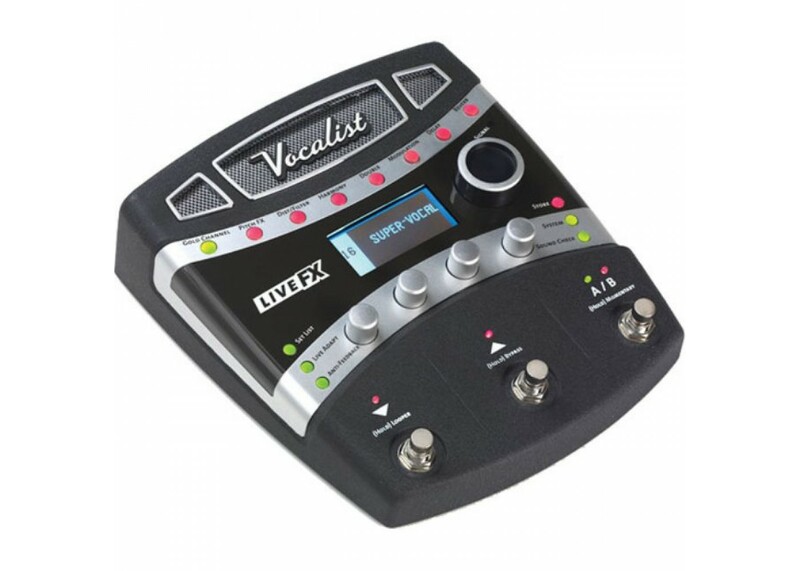 Licensed Lexicon reverb, dbx compression, and Automatic Feedback Suppression give you the powerful tools you'll need to make every vocal performance powerful enough to captivate, and engaging to your audience. 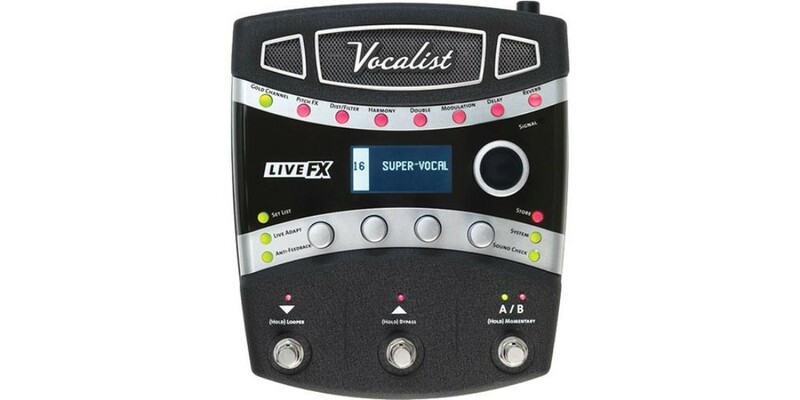 During the performance, the new Live Adapt feature can automatically detect and adjust itself for your best vocal sound. The Gold Channel allows you to engage the channel strip with the press of a button so you can always sound perfect at a moments notice. The Anti-Feedback button automatically sets filters to eliminate feedback and help ensure you're not caught holding the mic while feedback decimates the audience. Live Adapt: New performance adaptive technology listens to your voice and the band to set tempo, noise gate levels, and harmony settings. True Studio Quality Effects: Although many of our competitors make the same claim, the Live FX uses licensed dbx compression and Lexicon reverb. 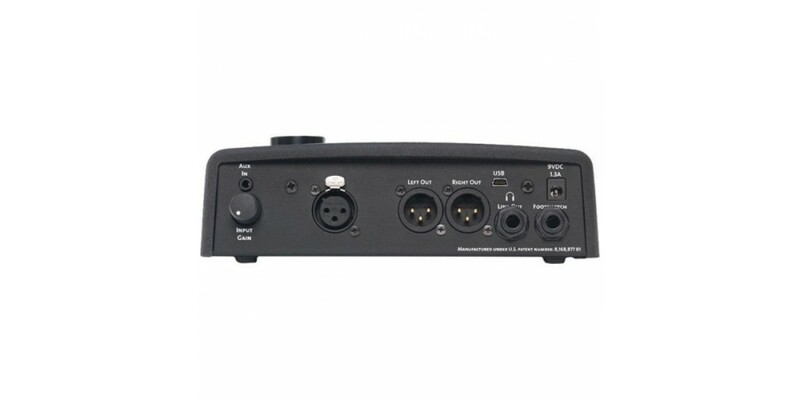 You'll find dbx and Lexicon gear in virtually every major recording studio around the world. 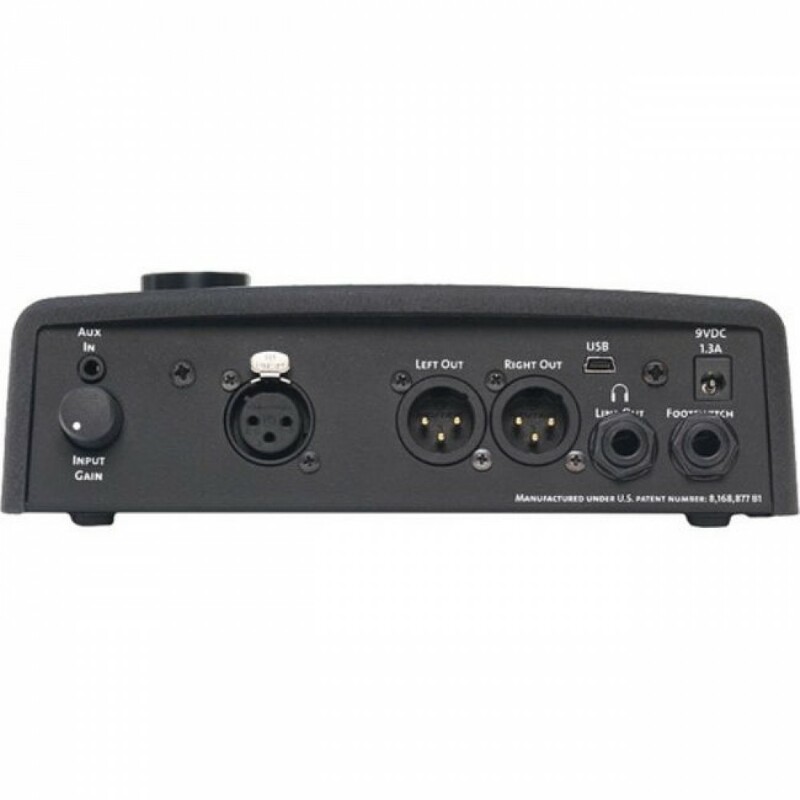 dbx Automatic Feedback Suppression: using the industry leading dbx technology, Live FX automatically listens to your signal and calibrates a series of up to 12 different filters to eliminate feedback. Nothing is worse than seeing your audience throw their hands up to cover their ears during your performance. The Live FX works to ensure you never experience that.